Farooq Ahmad Khan was arrested on May 23, 1996 in the Lajpat Nagar blast. After eighteen years, he was declared innocent. Kashmir knew it well at the outset in March 2013. The real difference was that even the then Chief Minister Omar Abdullah felt convinced that Dardpora “militant” Syed Liyaqat Shah returning home from PaK after more than 17 years with his wife and daughter had not come to invade Delhi! As media played the Fidayeen up, Omar took a stand and MHA shifted the case to NIA. Almost 21 months after NIA established that Shah was innocent and was framed. Action ranging from censure to dismissal has been recommended against ACP Manishi Chandra, three inspectors and five other ranks. Interestingly, however, no action was sought against DCP Sanjiv Kumar Yadav, who supervised the operation and was in touch with the source – informer Sabir Khan Pathan alias Munna. NIA has established that Munna, a resident of Gailana village of Shajapur (MP), planted arms (3 grenades, an AK-56) on Liyaqat’s guest house room (304) but is missing since March 25, 2013. His phone destroyed, NIA failed to even get anything out of the CCTV footage that was famously sealed to help investigations! Shah and Ameena were settled in Dardpora when he crossed over. There, he married Naseem Bibi and had a son. A few years later a militant-widow from his village Akhter went to Pakistan along with her dumb daughter Jabeen and he married again. But he was in touch with Ameena. When the policy was announced permitting homesick youth from PaK back home, she applied formally on February 2, 2011. It was early 2013 her application was cleared. But after the family crossed over into India, they were arrested, set free without Shah who was termed to be a Fidayeen. For Shah’s family, it cost dearly. His brother sold 10 kanals of land to manage his defence. Within two weeks after his arrest, his PaK wife died of cardiac arrest leaving his 15 year-old son Hassan Muneer Shah literally like an orphan without father and mother. Now when NIA nailed the truth, it is still costly for him. 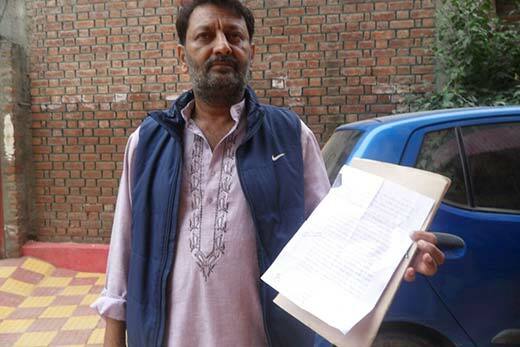 To go to Delhi for completing the legal formalities, he is selling his cow and a bull to manage travelling costs. Post-NIA revelations, when everybody is happy that truth has prevailed, a natural question remains unanswered: how the governance structure will compensate these lives that were literally ruined and then certified as innocents? Shah’s was still a better case than scores of others who got the innocence certificate after putting in 14 years, more recently after 18 years, in jails outside J&K. Mohammad Maqbool Shah got innocent certificate after fourteen years’ jail term. Resident of Janglat Mundi in Islamabad, Farooq Ahmad Khan was a mechanical engineer in state’s Public Health Engineering Department (PHE) for almost five years when Special Operations Group (SOG) arrested him on May 23, 1996. Instantly, he was shifted to Tihar jail in Delhi. 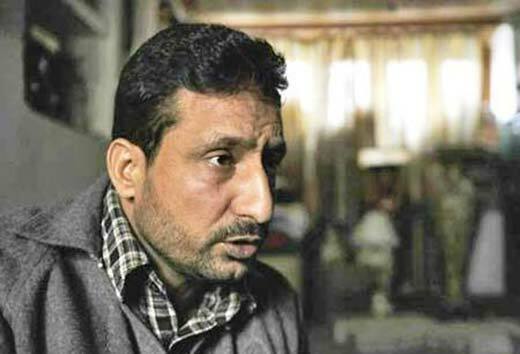 An accused in the Lajpat Nagar blast, he was acquitted by the court after four years. But then, he and many others were held responsible for blasts in Jaipur. In the last week of September 2014, a court in Jaipur finally acquitted him of all charges and set him free. Back home in Islamabad, Khan’s home broke in last 18 years since he was accused of receiving a call from Delhi! His one daughter was five year old and the younger one barely a year of age. By now his father is dead and his daughters are grown-ups. Now grappling with the realities of life, Khan still feels about the fellow prisoners who were not as lucky. The same court in the same case gave four others – Abdul Gani Goni, Muhammad Ali Bhat, Mirza Nisar and Lateef Ahmad Waza, lifers. Lajpat Nagar blast of 1996 in which 13 people were killed is a classic case in which a number of Kashmiri youth were shown involved. One of them was barely 15 and was hawking handicrafts in Nepal when he was arrested. The first major breakthrough in the case was when four of the 10 accused were acquitted in April 2010. And those held responsible were also accused for the Jaipur blast. By now, some of them have been awarded lifers. One of them was Mohammad Maqbool Shah, a resident of Lal Bazaar. He was only 17 years old when he was arrested and by the time, he was acquitted honourably he was 31. In between he had lost his sister and father. With only his notebooks full with happenings in the jail as the only possession, Shah is now running a small grocery shop that his brothers helped him to start. “I am out but who will pay me for my 14 years,” Shah says. The story of Mirzas’ of Namchibal is more pathetic. They were two brothers arrested in the same case at different places. One was acquitted after 14 years and another was formally charged. In between the family lost the entire fortune they had created by setting up few handicraft shops across India. “What is the purpose of life after 14 years of your life are taken away?” asks Mirza Nisar who was acquitted and has started helping his brother, who had to drop out of school, to re-establish part of the business. How frivolous have been the charges against the Kashmiri youth can be understood by the fact that four residents of Saloosa in Bandipore were arrested by Mumbai police on October 21, 2001. They were charged for hatching a conspiracy against India on basis of an Urdu magazine that is being published from Delhi for nearly 30 years now because it was carrying Osama bin Laden’s photograph on page one. The four friends – Farooq Ahmad Chopan, Javed Ahmad Bhat, Farooq Ahmad Bhat and Altaf Hussain Bhat – could finally see the light outside the jail only after the High Court in Mumbai quashed the prosecution case on December 11, 2006. To substantiate the recovery (magazine), the police had planted arms on them. While it might be a researchers dream to get the number of Kashmiri youth arrested outside the state or the number of youth who have been awarded lifers by courts across India, there has not been any movement at societal or government level to identify the crisis and suggest remedies. The only thing that has happened in last 12 years is that Chief Minister – initially Ghulam Nabi Azad and later Omar Abdullah, wrote detailed letters to their counterparts in the mainland suggesting against arresting or harassing Kashmiris. But wherefrom can he start? In most of the cases the youth who were incarcerated for more than decades were arrested by the local police. Why cannot an action initiate against them so that the entire chain of exploitation is unmasked. At the same time, there is requirement of initiating a policy initiative under which all these youth are helped to have respectable livelihoods.